The Kempinski Hotel in Ajman is the oldest hospitality establishment on that scenic beach-facing strip of the Northern Emirates. I have entered its regal premises earlier, having been invited for a #ZomatoMeetup at Sabella’s, the organic Italian restaurant. This time round, I visited their spa. Who doesn’t fancy a day at the spa? Its the perfect excuse to unwind, relax and let the toll of everyday stress and anxiety wean away. Kempinski The Spa has a classic, simplistic layout with a spacious, brightly lit reception area where guests are greeted by ever-smiling staff. Upon arrival, guests are treated to a shot of lemon and ginger, a tangy-sweet drink laced with the characteristic heat of ginger, a well-loved combination known for its health-enhancing properties. I was here for the HydraFacial, a non-invasive treatment imported from the United States that deep-cleanses the skin and dramatically increases hydration levels giving the complexion an immediate boost of vitality and freshness. I have tried the HydraFacial treatment before at NStyle Beauty Lounge (read all about it by clicking here), but that was a 30 minute intro. At Kempinski The Spa, I got treated to the hour-long treatment inclusive of the very hydrating face mask. My esthetician for the day was the absolutely delightful, well-versed Wei Wei who is a Thai national with over a decade of spa experience. I also met the very lovely Malika, Spa Manager at Kempinski The Spa. Prior to my treatment, both ladies gave me a mini tour of the premises. Kempinski The Spa has communal showers and lockers at one end, or you can opt to change into the spa housecoat in the vicinities of your treatment room as well. The spa has a total of four treatment rooms, and a lounge room complete with comfy sofas and footstools. On the other end of the reception is an area dedicated to manis and pedis. I changed into the spa’s housecoat in the common area, which I had all to myself given it was a weekday. I locked up my belongings into a locker, and headed down the serenely sunny corridor to my treatment room. There’s something magical about spas. The mind feels at peace as soon as you step foot through the doors. Maybe it has to do with the soft, exotic music playing in the background, or perhaps it’s that whiff of aromatic frangipani exhaling off the mini burners. Everyone talks in hushed tones, and at Kempinski The Spa, the staff ensure each guest is given personalized attention and service. I slip under the covers on my treatment bed. The room lighting has been dimmed down, and a play of exotic temple bells in the background put me into a trance of tranquility. Wei Wei goes on on explain the HydraFacial to me. Step 1: Cleansing & Exfoliation. Wei Wei examines my skin under an unforgivingly bright, luminous lamp. My skin is cleansed and exfoliated. Step 2: Acid Peel. An acid peel is applied to the skin to loosen stubborn dirt and grime right from the pores. My skin feels a mild tingling, telling me the peel is taking effect. It got me a little worried, but Wei Wei reassured me it was only temporary, and before long it died down. Step 3: Extractions. For this step, Wei Wei uses a vortex, a tiny suction pipe mechanism that has a suction effect on the skin to help with extractions. It felt like my face was getting vacuumed! Step 4: Hydration. The same vortex pipe is used for this step, but this time it is for pushing in nutrients into the skin, rather than extracting. A very special concoction of antioxidants and hyaluronic acid is pumped into the skin. After all that extracting, my complexion felt very cool and comforted after this step. After Step 4, Wei Wei used a hydrating mask on my face to further enhance the moisturizing effects of the treatment. While the mask was on, I was treated to a mini foot massage. At Kempinski The Spa, they really do treat you like royalty! Amazing how those 60 minutes slid by. It’s almost painful having to leave the comforts of a treatment bed. I prolonged my stay on the premises sipping on warm ginger tea in the lounge room. Post treatment, my skin looked and felt absolutely dewy fresh! I kept touching my face, amazed at just how beautifully soft, supple and hydrated it felt. Wei Wei advised me to refrain from using any makeup for the rest of the day, and to also skip washing till the next morning. Sitting in that lounge room, sipping warm tea all by myself, I couldn’t help going on a selfie frenzy! My complexion looked so refreshed sans any makeup or Instagram filters. Isn’t it these lovely little touches that make a great experience a very memorable one? I can’t wait to get back to Kempinski The Spa, and plan to have a full body massage next time round. It’s run by Kempinski! They have a solid reputation built on excellent customer service. Kempinski The Spa is a ‘Seasonal Spa’. Based on the European cycle of seasons, the spa offerings are renewed every quarter. Kempinski Ajman has its very own private beach; a perfect little piece of paradise to lounge at after a treatment. The last time I was at a spa, the maddening traffic to and from the venue ensured the relaxing vibes I had achieved post treatment has disseminated all too quickly.Although it might seem quite a drive away, you hardly face any traffic driving up to Kempinski Ajman. The drive down here is also pretty scenic with beach views all the way. Kempinski The Spa offers a number of specialized treatments including facials, body massages, manis and pedis. The spa caters to both genders, with clearly marked designated areas for privacy. For more information on Kempinski The Spa, visit their website and give them a call on +971 6 714 5533. Go on, you know you deserve it! 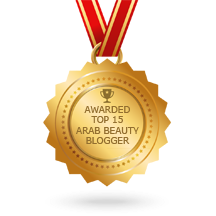 Posted in Spa Treatments and tagged Ajman, facial, HydraFacial, HydraFacial Review, Kempinski Ajman, Kempinski The Spa, skincare, spa, UAE, UAE Beauty Blog. Bookmark the permalink.